If you had to choose between LinkedIn or Facebook for connecting with prospects, which would you choose? The right answer might be Facebook. 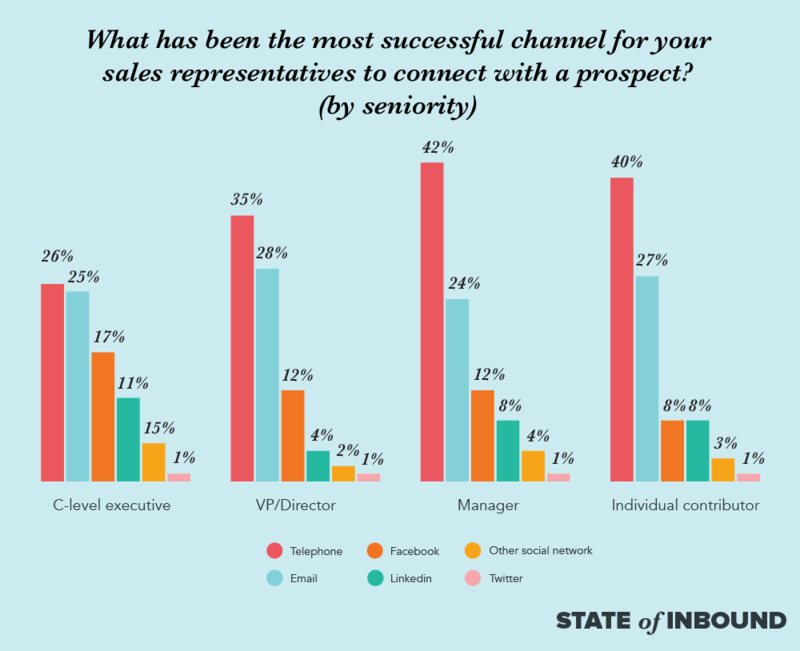 According to the 2017 State of Inbound report, salespeople have more success reaching buyers on this platform than LinkedIn. 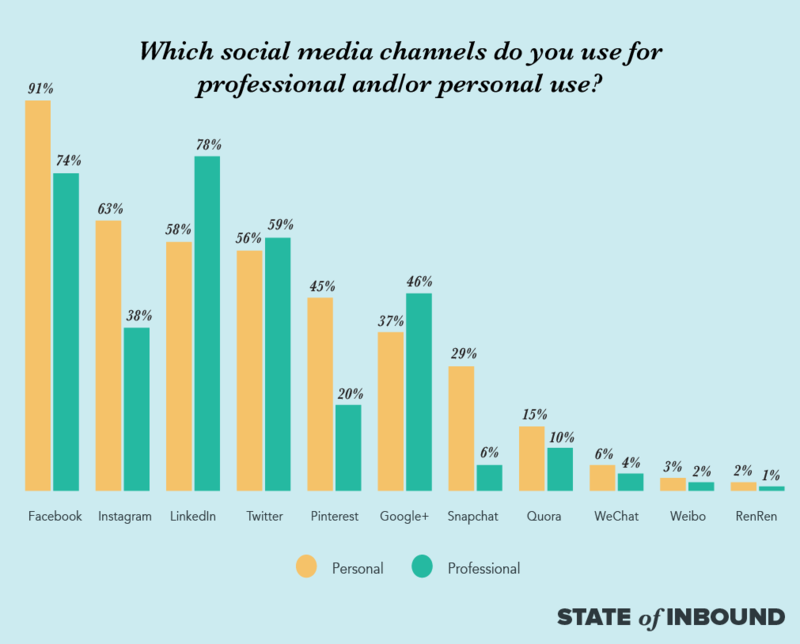 What’s more, 74% of respondents say they use Facebook professionally. It’s clear Facebook is no longer just for finding old classmates or looking at cooking videos. But it doesn’t matter where you’re connecting with your prospects if you’re not using the right strategies. The following four tips will guide your approach. Because Facebook’s search is less powerful than LinkedIn, consider using Facebook to build rapport with a buyer after you’ve identified them as a potential fit. For example, perhaps a lead downloads one of your content offers. You email them and offer to answer any questions; the same day, you send them a friend request on Facebook. Not only does this keep you top-of-mind, your prospect is likelier to accept your request because you seem familiar. To learn more about modern selling, click here to download the free 2017 State of Inbound report. Once they’ve become your Facebook friend, use the platform as another touchpoint. 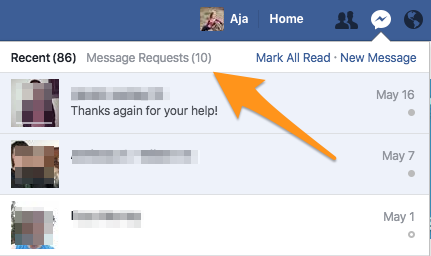 Although you can message Facebook users whom you’re not friends with, it’s probably not the best use of your time. The chances of your prospect seeing you’ve messaged them — let alone reading your message — are low. Facebook feels less buttoned-up than other platforms. With that in mind, you can be a little more personal and casual when you talk to prospects. If you’re too formal, you’ll seem out-of-touch. But don’t want to go too far in the other direction. Use proper punctuation, spelling, and capitalization, and steer clear of acronyms. To illustrate, here are three opening lines. Unlike answering an email, which requires a certain level of thought, the prospect can reply almost instantaneously. The same principle applies to random questions either of you may have. Maybe they’re speaking with their boss and need to double-check your product’s dimensions. Instead of sending you an email or calling you, they can simply pull out their phone, message you, and get an answer — all while talking to their manager. On your end, perhaps you’re looking into potential integrations they’d benefit from and want to know whether they use one of your partners. It takes just two seconds to message them and find out. Facebook can be a powerful tool in your arsenal. Follow these tips, and your Facebook friends will translate to closed deals.